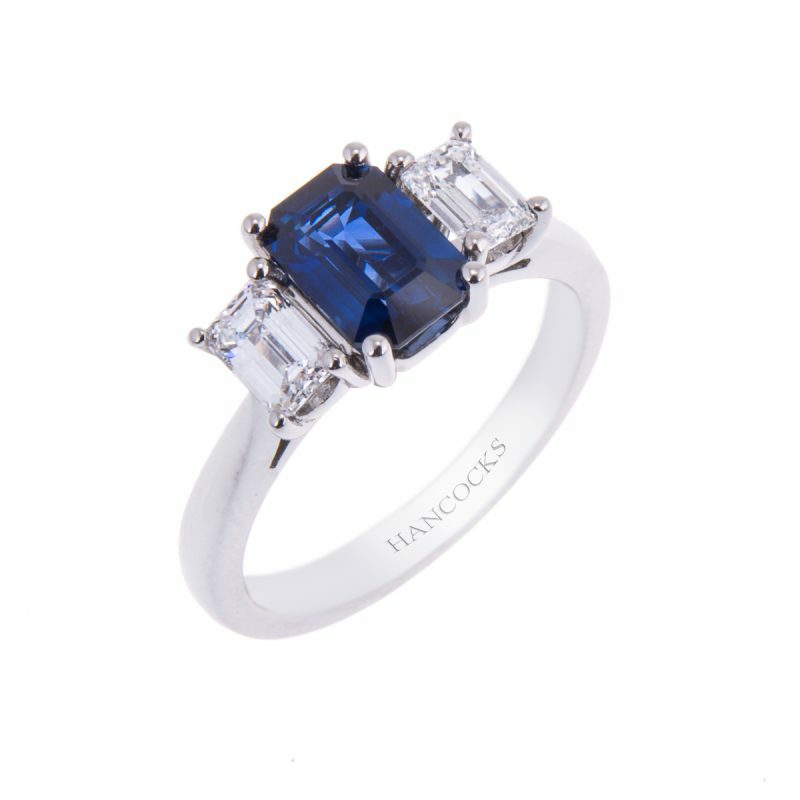 A stunning rectangular cut sapphire, echoing this unusual shape with two emerald cut diamonds on either side. 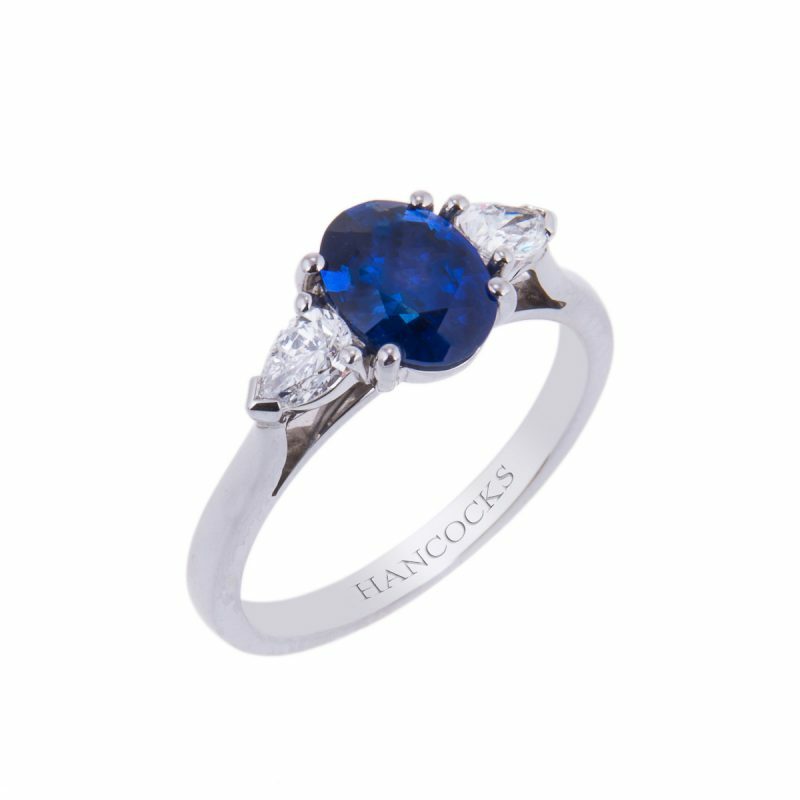 A elegant ring with a simple yet timeless design, this striking ring has been hand crafted in the purest of platinum. 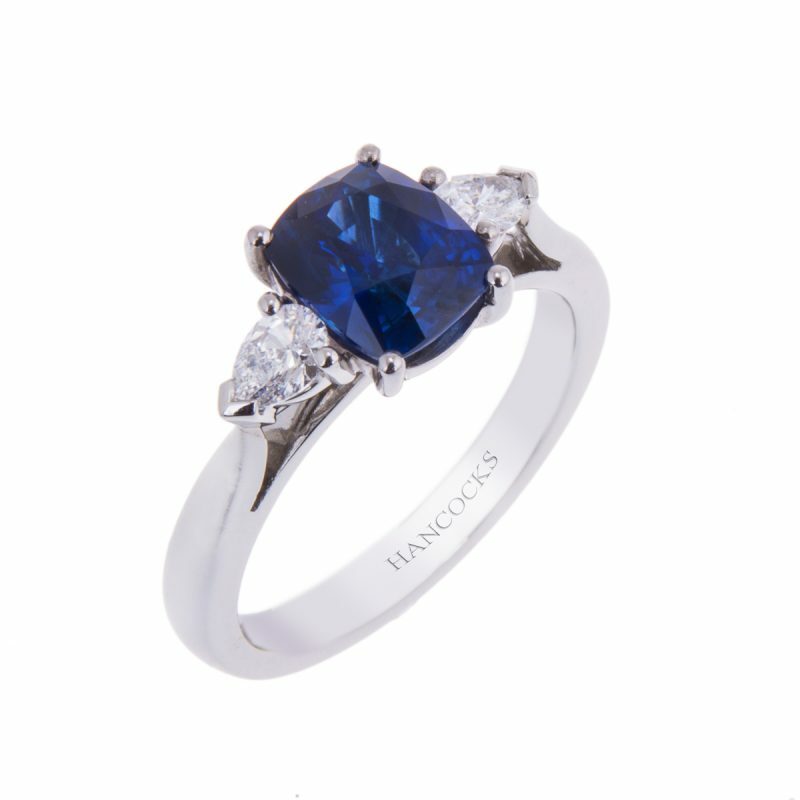 Four claws securely hold each stone in place and allow the gemstones to exhibit their natural beauty. 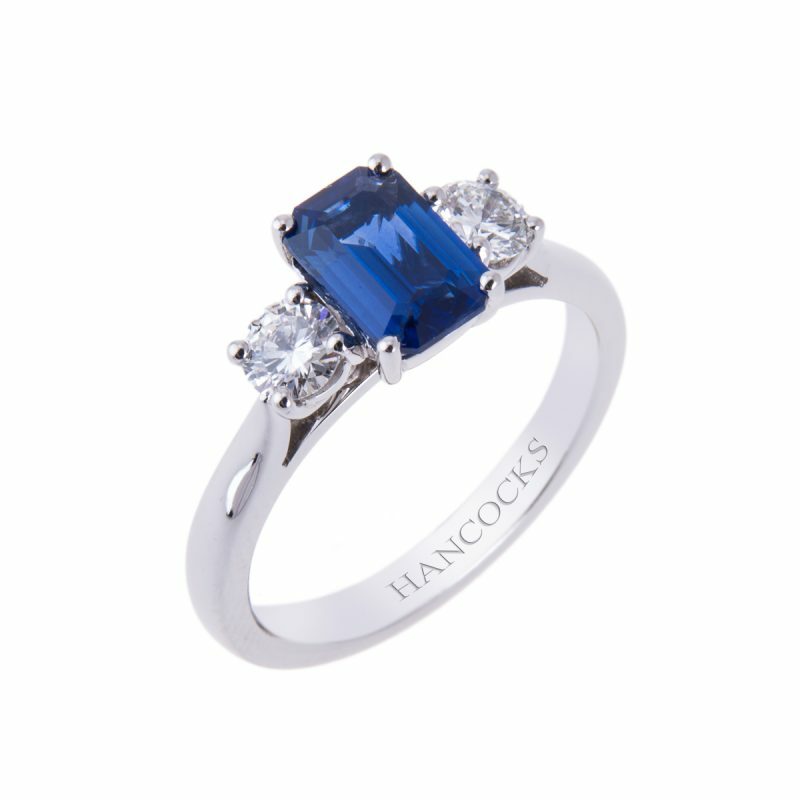 The perfect ring to make all your wishes come true.